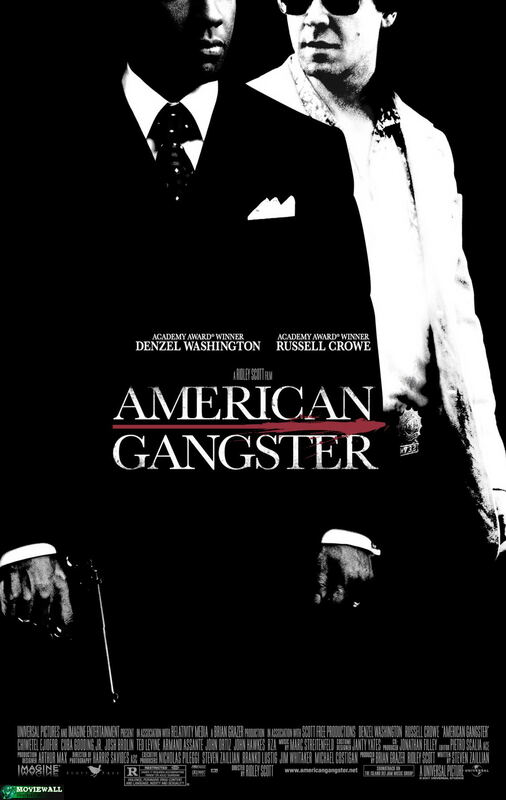 What It’s About: The “true story” of Frank Lucas (Denzel Washington), who used the knowledge he gained as “Bumpy” Johnson’s (Clarence Williams III) driver and his cousin Nate’s (Roger Guenveur Smith) connections in Vietnam to corner the heroin market in the 1970s, and Ritchie Roberts (Russell Crowe), the cop that finally busted Lucas’s organization. Why Watch it Today? : Frank Lucas was convicted on this date in 1984. Ridley Scott’s version of Lucas’s story plays like a “what if” film that mashes up Black Caesar and Serpico, at least during its best moments. This entry was posted in "Based on a True Story", Adaptation, Based on a Magazine Article, Cops, Crime, Gangster, Movie of the Day, Period Film, True Crime and tagged Armand Assante, Best Art Direction Nominee, Best Supporting Actress Nominee, brothers, Carla Gugino, Chiwetel Ejiofor, Clarence Williams III, Common, corrupt cops, Cuba Gooding Jr., Denzel Washington, drug addict, drug dealers, drugs, heroin, Idris Elba, Imagine Entertainment, John Hawkes, Jon Polito, Josh Brolin, Kevin Corrigan, maverick, maverick cops, mobsters, mother-son relationship, New York City, Nicholas Pileggi, Relativity Media, Ridley Scott, rise and fall, Ruby Dee, Russell Crowe, RZA, Ted Levine, Universal Pictures, Vietnam, Vietnam veterans.